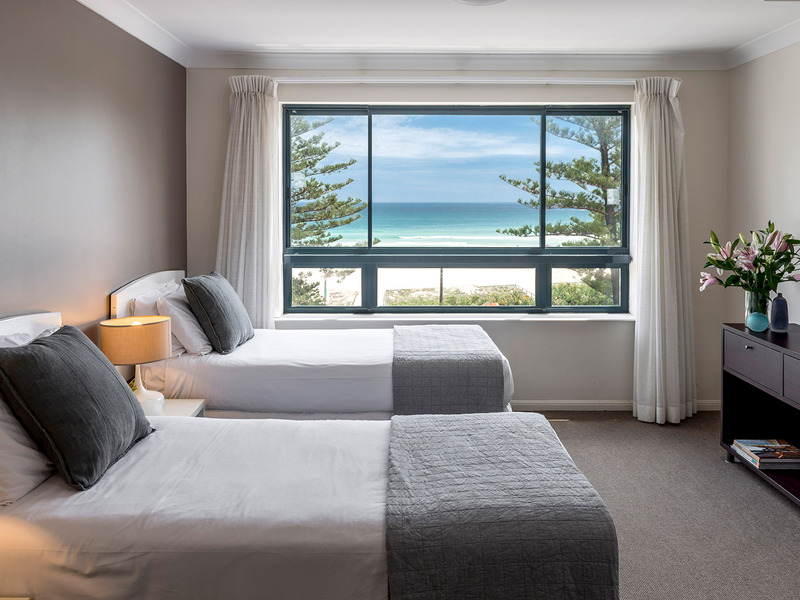 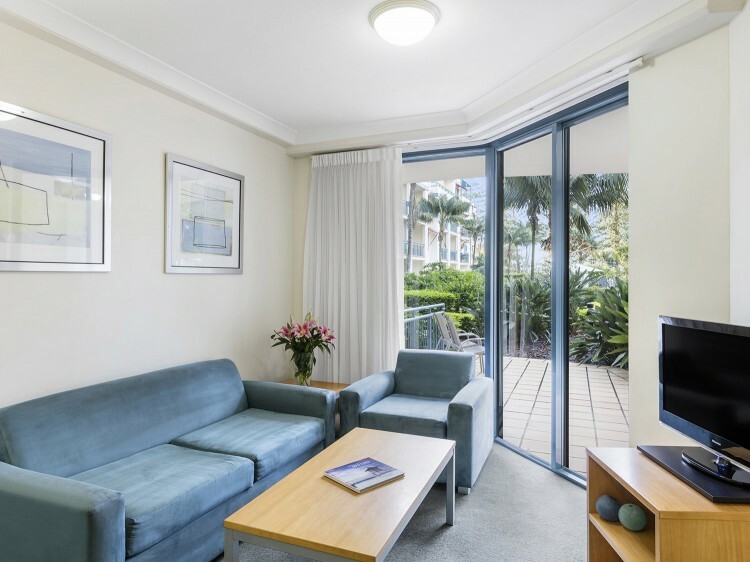 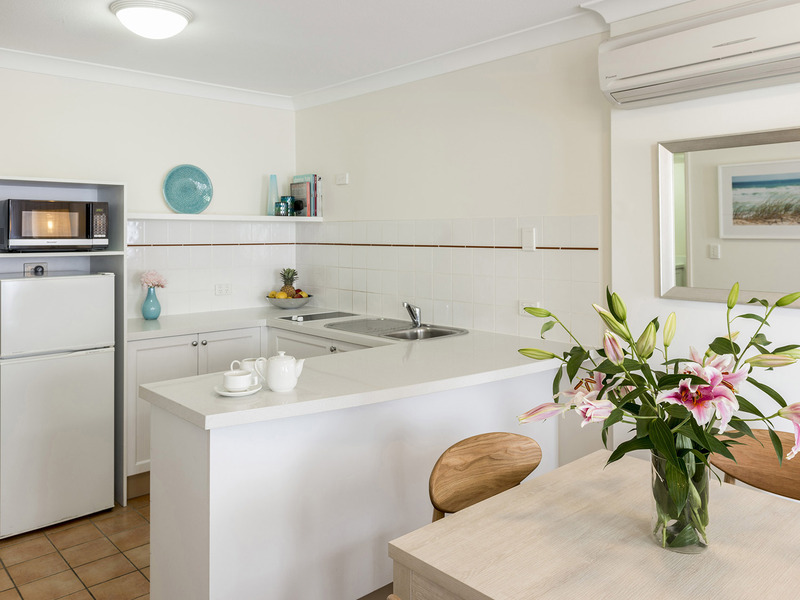 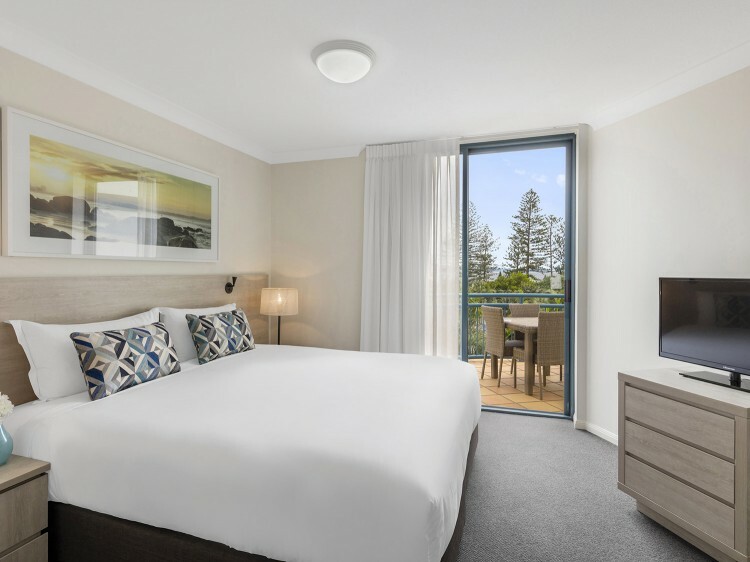 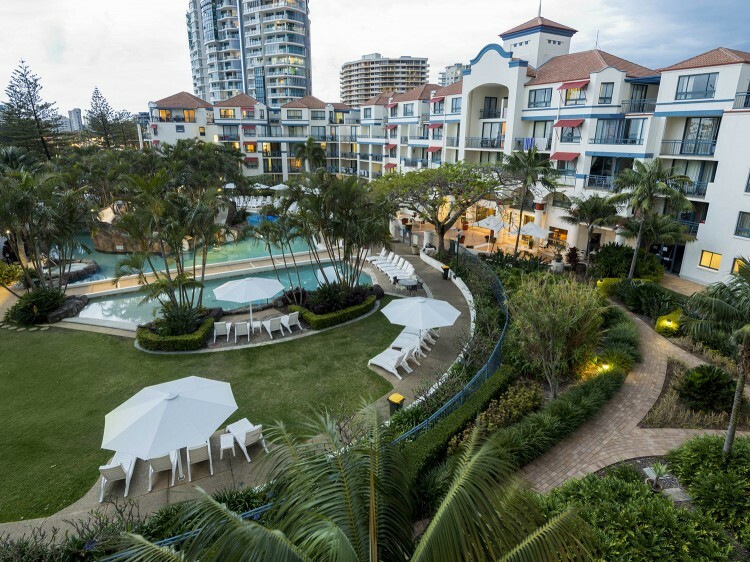 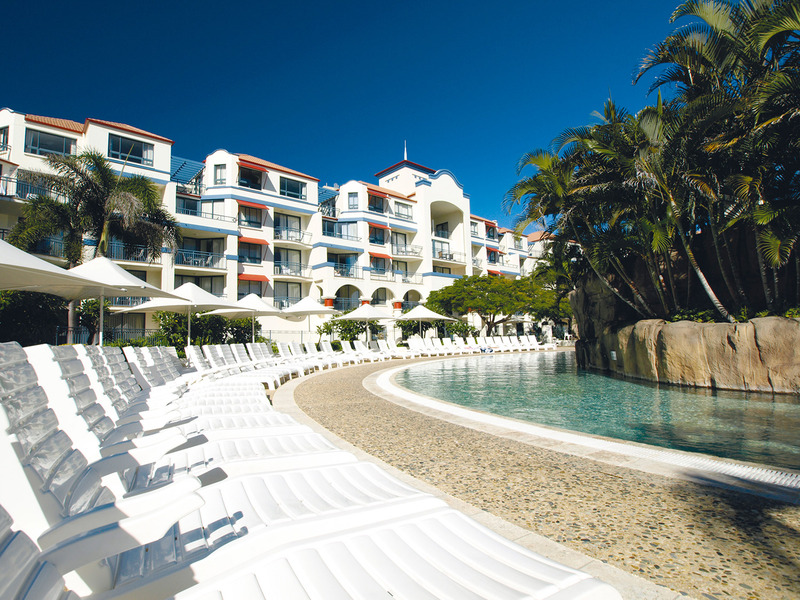 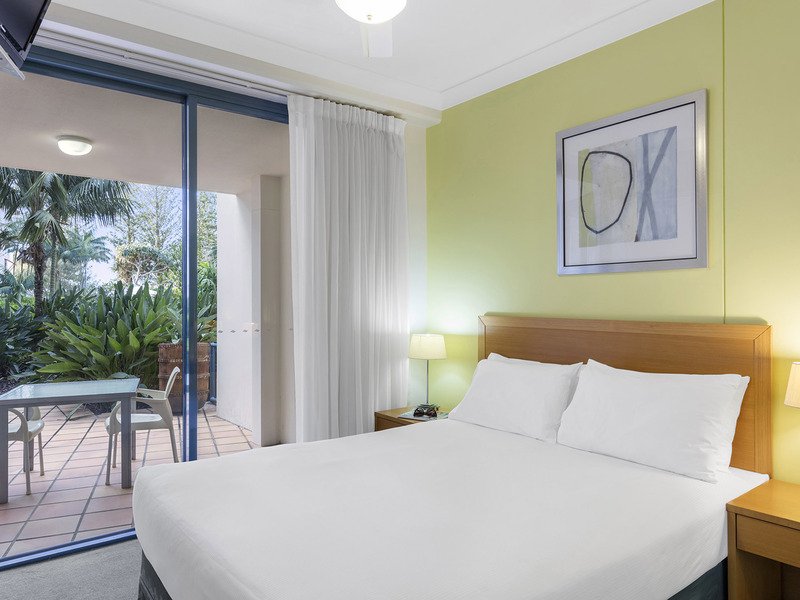 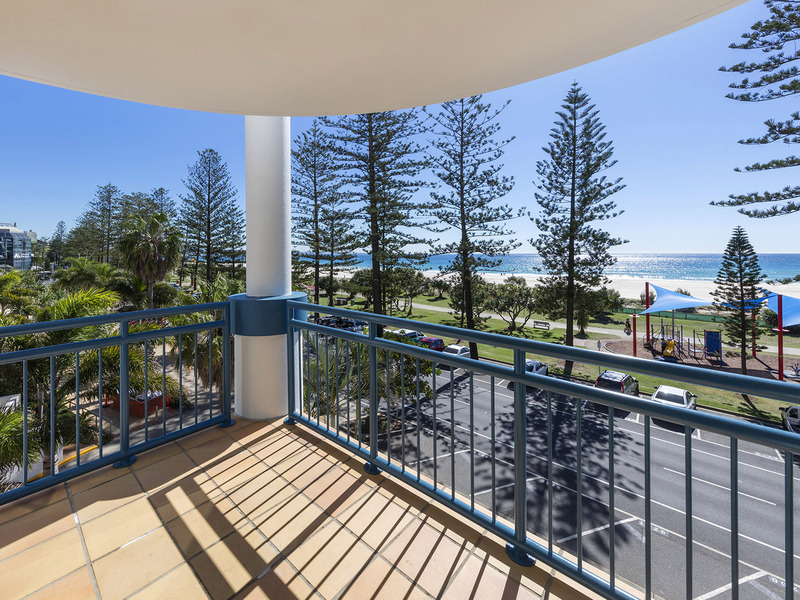 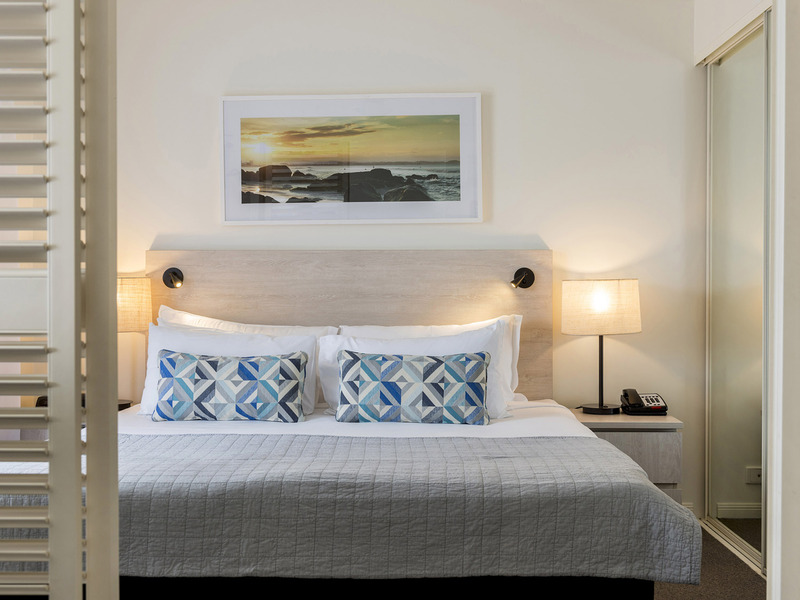 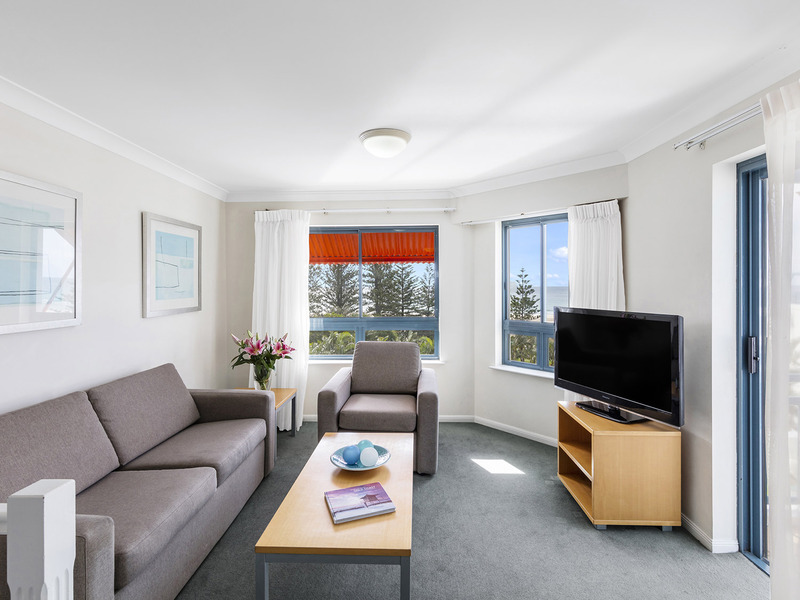 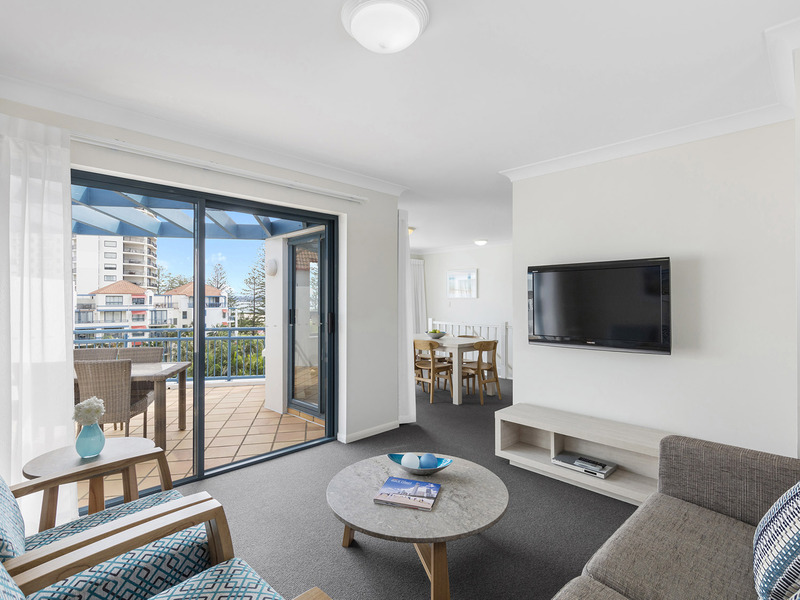 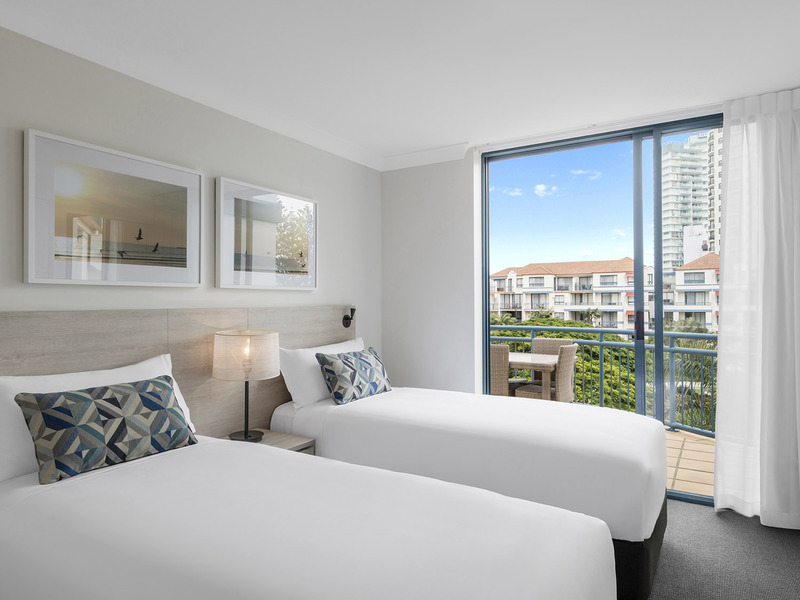 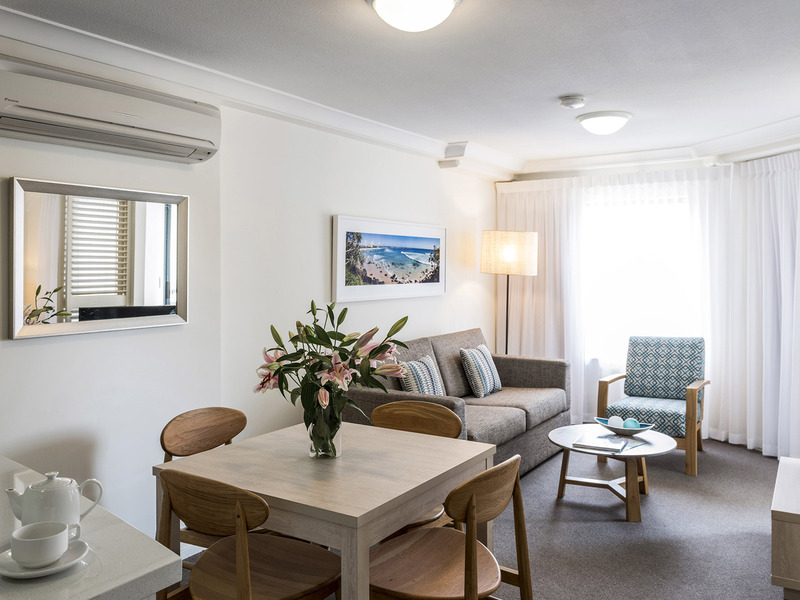 Located in the heart of Coolangatta on the southern end of the Gold Coast, Oaks Calypso Plaza is the perfect accommodation choice for families and couples looking for a laid-back beachside holiday. 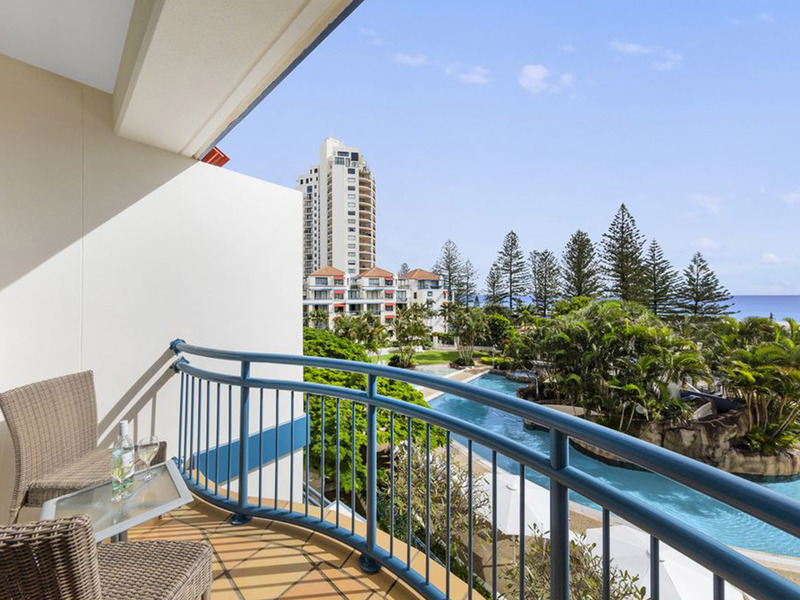 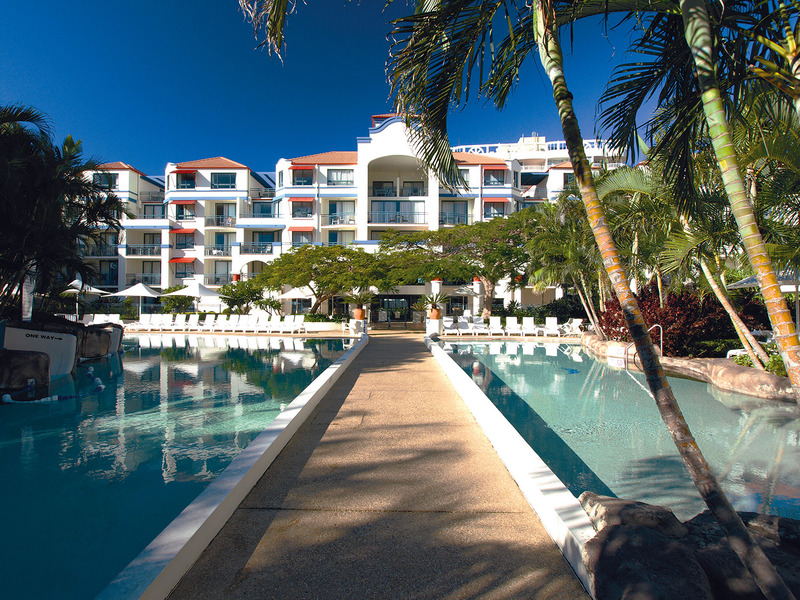 Just minutes from Gold Coast Airport and situated opposite beautiful Coolangatta Beach, this 4 star resort features spacious studio apartments and one and two bedroom self-contained apartments, most with sheltered balconies providing pool, ocean or hinterland views. 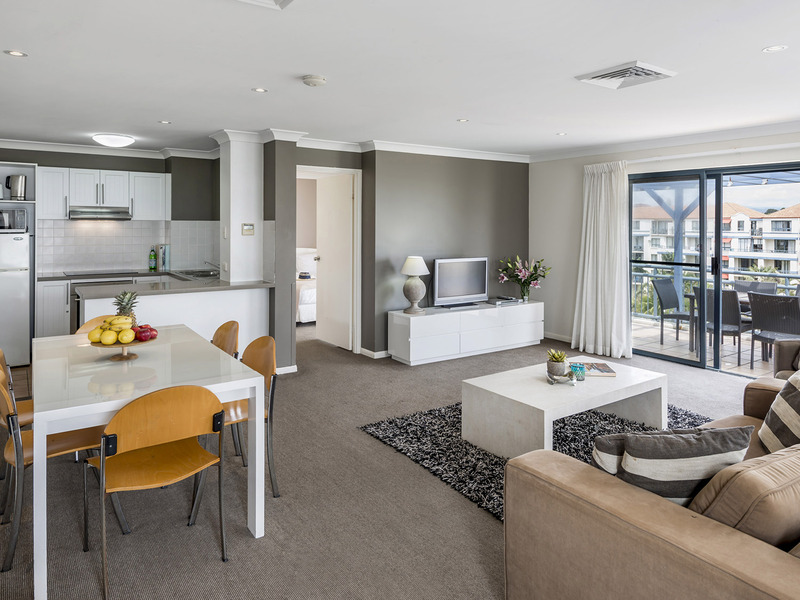 For the ultimate in space and comfort, there is also a range of two-level executive apartments with spa baths. 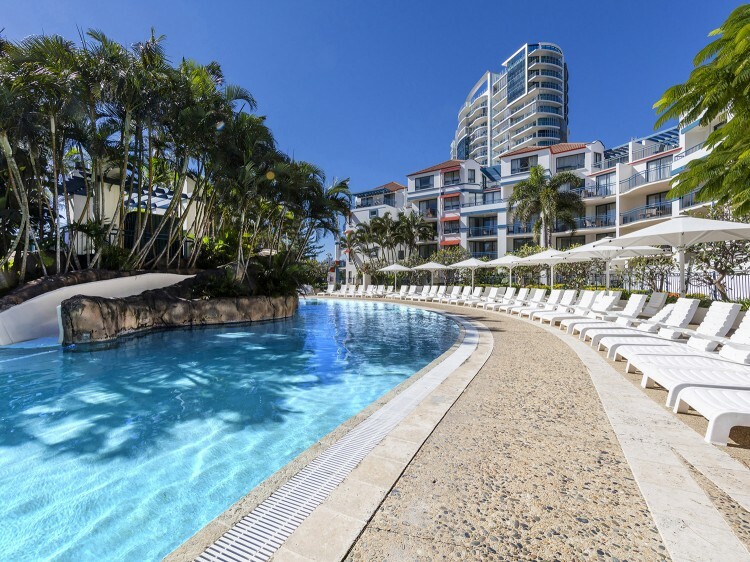 When you’re not out experiencing all the Gold Coast has to offer, enjoy the many onsite leisure facilities. 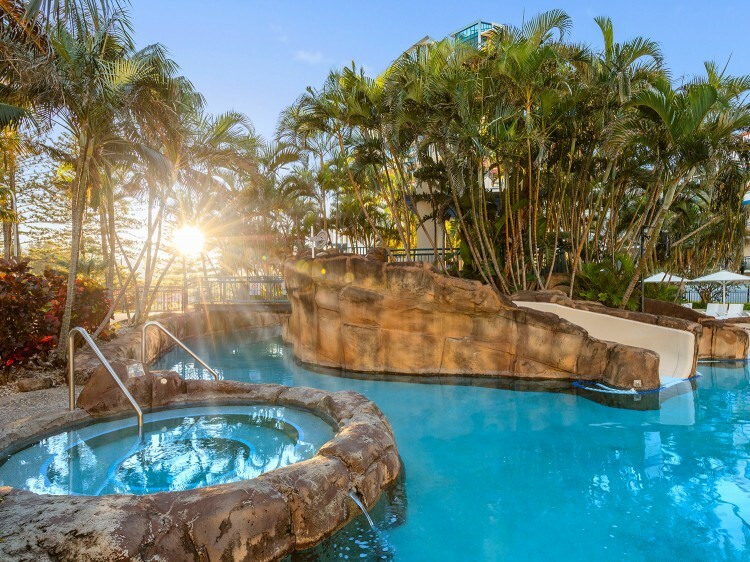 Cool off in the stunning lagoon-style swimming pool with waterslides, splash around with the kids in the children’s wading pool, unwind in the steamy spa and sauna, get active in the fully equipped gym and challenge yourself in the games room. 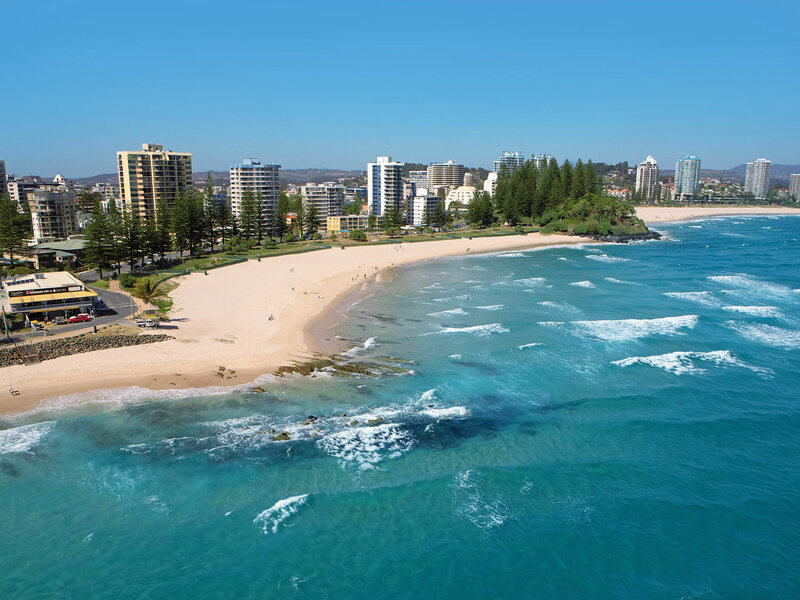 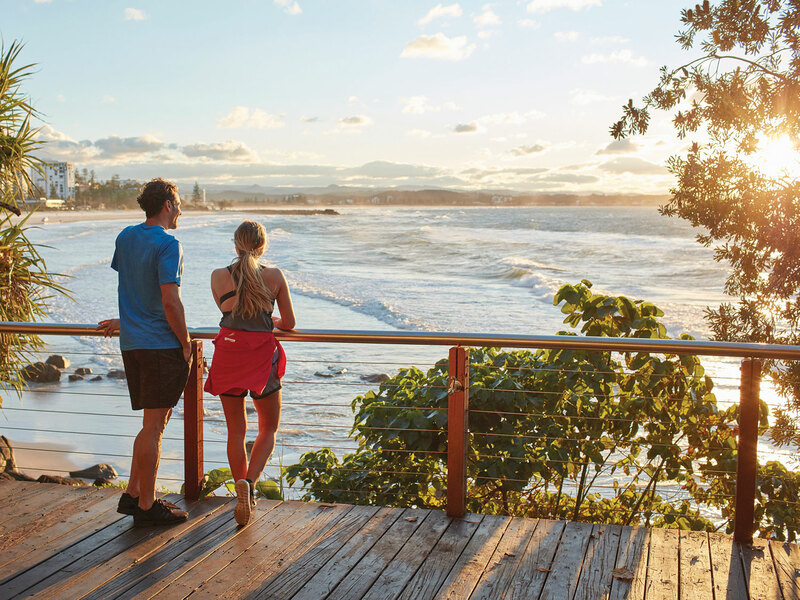 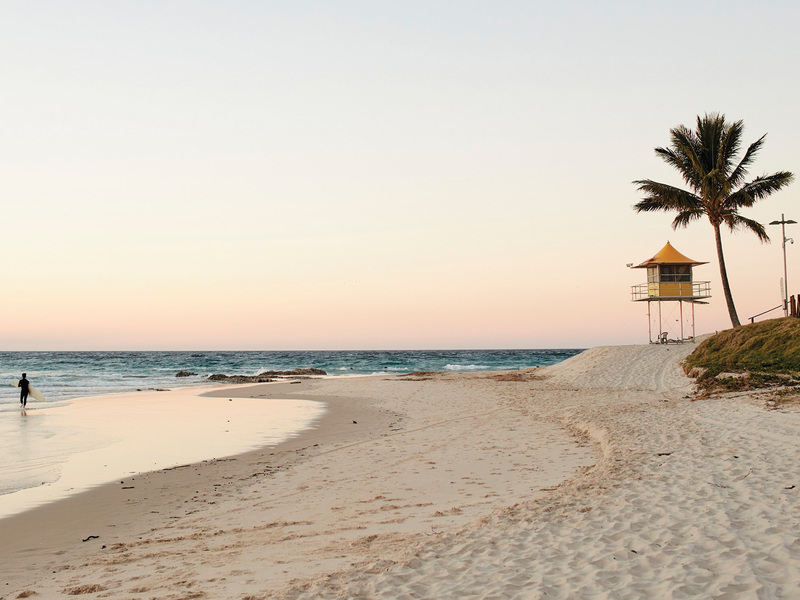 Located on the Queensland-New South Wales border, Coolangatta offers the best of two different worlds – from the family theme parks and attractions on the Gold Coast, to the natural beauty and quaint seaside villages of Northern NSW and the Tweed Valley. 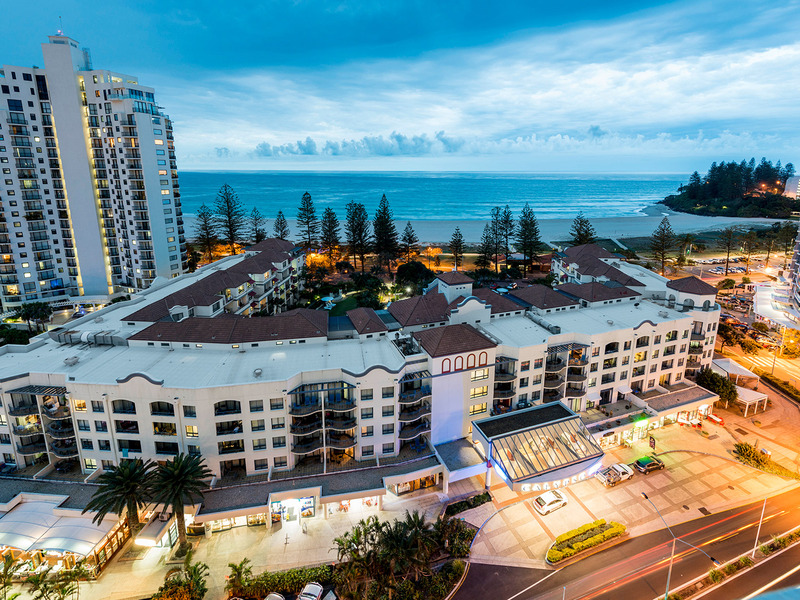 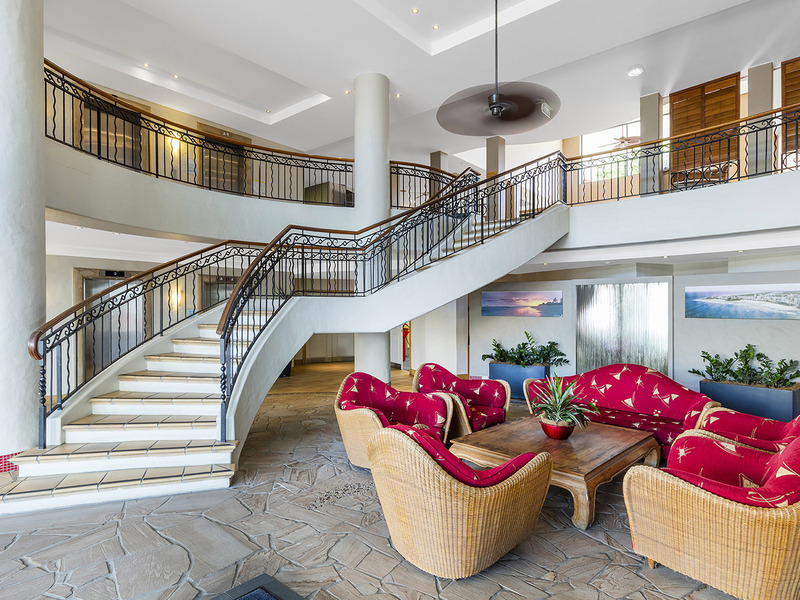 Coolangatta itself boasts some of the most stunning beaches and popular surfing and swimming spots in the region and an assortment of beachfront restaurants, cafés and shopping are also just a short stroll away from Oaks Calypso Plaza.